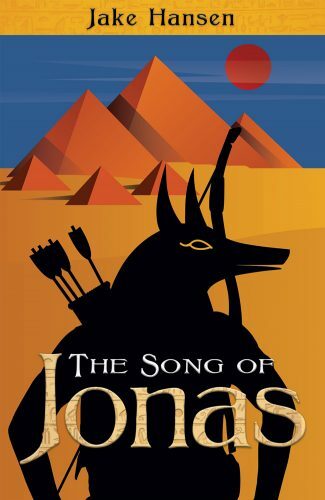 If you haven’t yet experienced any of these wonderful things before in a Young Adult Science Fiction novel or any other novel then the author humbly asks you to please spend a little of your hard earned money and time to try out The Song of Jonas. The eternal Heroes Journey gives a mystical and inspiring foundation to this tale of a junior Intergalactic Secret Agent serving in the Ashtar Command Center, the great interstellar base at the center of the galaxy that serves and protects the worlds within the Galactic Federation. Jonas is a humanoid being and recent graduate of Intergalactic Agent school whose first mission sends him to Earth to protect its most sacred city, Heliopolis. What is set out to be a mission of information collection and protection morphs into an epic and dangerous journey of self-exploration and discovery, of meeting fantastic beings and terrible challenges along the way as Jonas tries to fulfill his mission, serve the sacred celestials of Erath, called Guardians, and survive the entire venture all in one piece. If any of that sounds interesting to you then please order up a copy of The Song of Jonas. Who knows, part two might come out any day now and then part one will be old hat, yesterday’s news, moldy bread, Sayonara, Arrivederci… And then you’ll be behind the eight ball in a big way with lots of catching up to do. On a more serious note, this novel came from many influences that you might enjoy. The author strove to inject the joy and wonder of the Harry Potter series into its pages, as well as the sense of awe at discovering a new and amazing world with new and amazing places, beings, friends, mentors, and villains. But above all those things, the author hopes that you enjoy it as much as he enjoyed writing it, as he tried to convey his own joy and wonder into its words, sentences, and pages. Every time he received an inspired idea he wrote it down on the page, hopefully, to be enjoyed by someone else, someone like you!